... from Notre Dame. 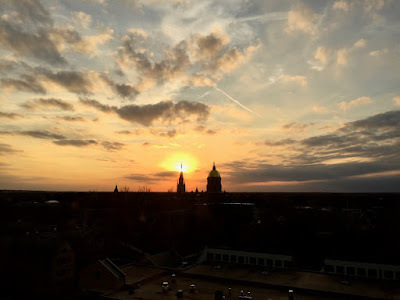 Here's a picture of the setting sun as seen from the 10th floor of Flanner Hall. With the "perma cloud" retreating, we have enjoyed many beautiful sunsets on campus. Enjoy your Sunday wherever you may be!